Adopt a Sea Turtle on Redang, Malaysia! Would you like to visit a tropical island and do some good at the same time? I thought so, and I am proud to be able to offer a solution: SEATRU. No, I am not speaking about a new innovative fabric for swim wear that will give you a tan without tan lines. Malaysians love acronyms and this stands for “Sea Turtle Research Unit of Universiti Malaysia Terengganu”. SEATRU was initiated in 1984 with an objective to study the leather back turtles of Rantau Abang which has develop to studies of all aspects of biology, ecology and conservation of sea turtles. SEATRU has been influential in many government decisions about sea turtles, mainly in Terangganu state but also nationwide in Malaysia. SEATRU have contributed with tagging nesting sea turtles on Redang, researching the diving behaviour and tracking the turtle’s movements with radio and ultrasonic tracking. Tracking is important for their research because we know where the turtle’s egg is hatched and we know that most turtles return to the beach where they were hatched, but we know very little where they have been in between. A sea turtle “flying” through the water. There are 2 great ways to help and you may do both, if you wish. The volunteer program to help tag and incubate turtle eggs on Redang was introduced in 1998 and runs annually from April – September, which are the best months to visit Redang weather-wise. You may volunteer for a week. As a volunteer you will have to be genuinely interested in wildlife conservation, able to live under simple conditions, physically fit and be of age 18 or above and preferably be able to swim. 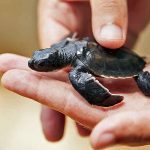 During your time on the island you will patrol the beach to locate and record arriving turtles and monitor their nesting activities, make sure turtles are not disturbed by tourists, excavate hatched nest and help with daily chores. The cost for volunteering is 300US$ and includes briefing and supervision, transportation from UMT to Chagar Hutang Beach on Redang, food and accommodation for a week, volunteer handbook, t-shirt and certificate of participation. You will need to bring your own sleeping bag. During your free time on the island you will be able to enjoy the stunning beaches, go snorkelling, hike to Turtle Rock, hike the river and do jungle trekking. Read more on SEATRU´s site on volunteering. If you do not want to or are not able to volunteer, you can adopt a nest or a sea turtle. The cost is only 40USD and you will receive a certificate of adoption, information about the adopted turtle/nest and a volunteer handbook. 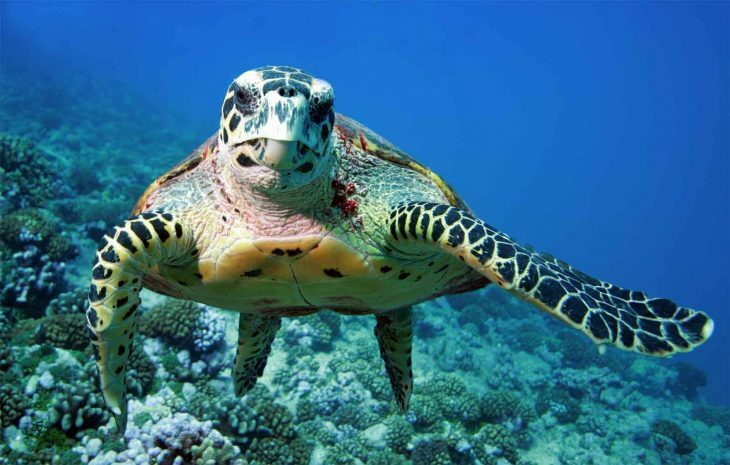 Read more on SEATRU´s site about adopting a sea turtle. If you are interested in visiting Redang as a regular visitor, you want to read my article about The Islands on Malaysia´s East Coast. I know there is another turtle sanctuary outside Sandakan on Borneo. 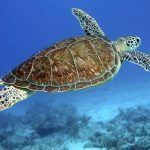 Do you know more sea turtle sanctuaries in Malaysia? Please share via email, in the comments below, on Twitter, Facebook or Google+. Camp Sävenfors – In the Middle of Nowhere, Which is a Good Thing. Big Cruise Ships Are Welcome in Venice, Italy, Again.